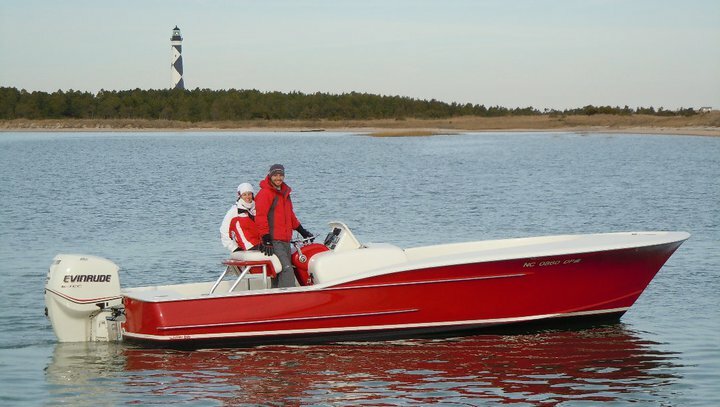 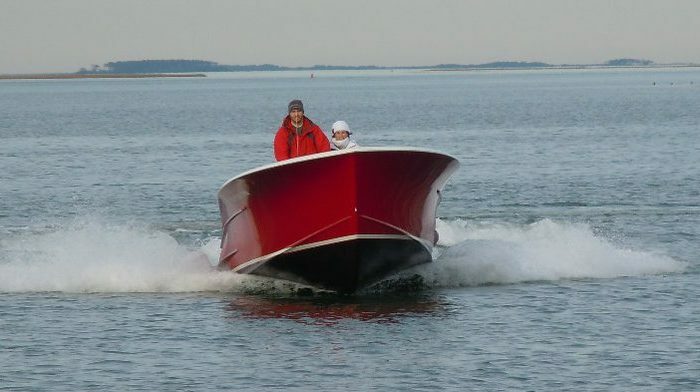 The Winter 24 is built to be the ultimate family and inshore boat. 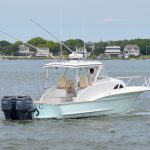 Her lower freeboard makes trips to the beach easier for boarding and keeps you low to water when hoisting that trophy redfish onboard. 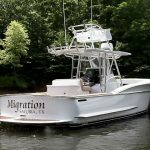 Look for this boat fishing the open sounds of eastern NC or tucked in behind the lighthouse at Cape Lookout! 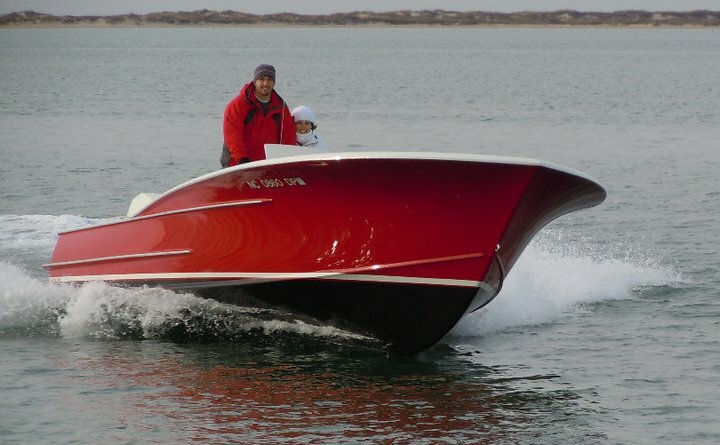 The 24 has an open layout to allow for the versatility of a boat this size. 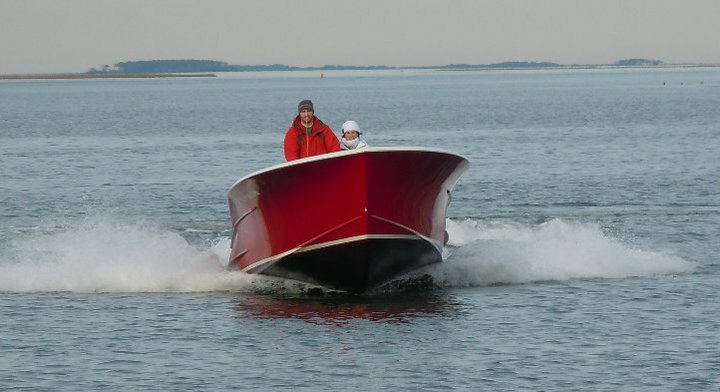 The forward interior of the boat has a raised casting deck for throwing a cast net and casting from. 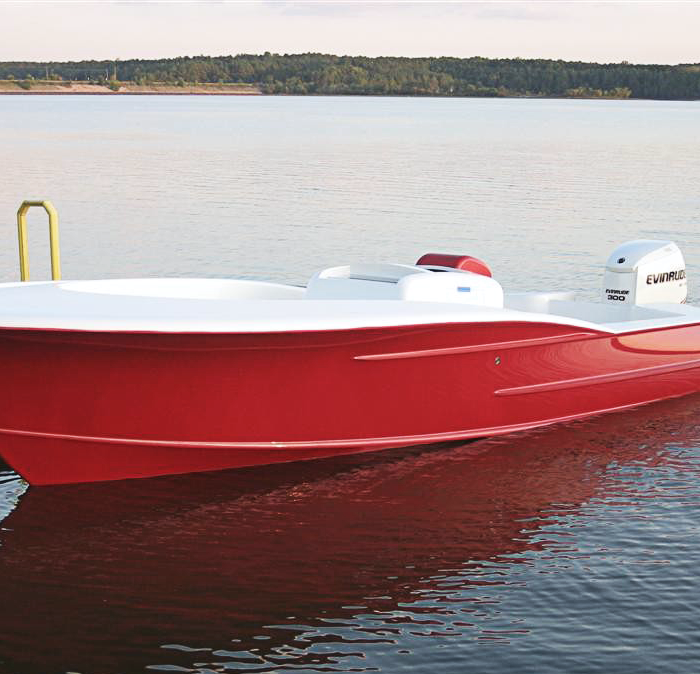 Under the casting deck you will find open storage for rods and additional gear. 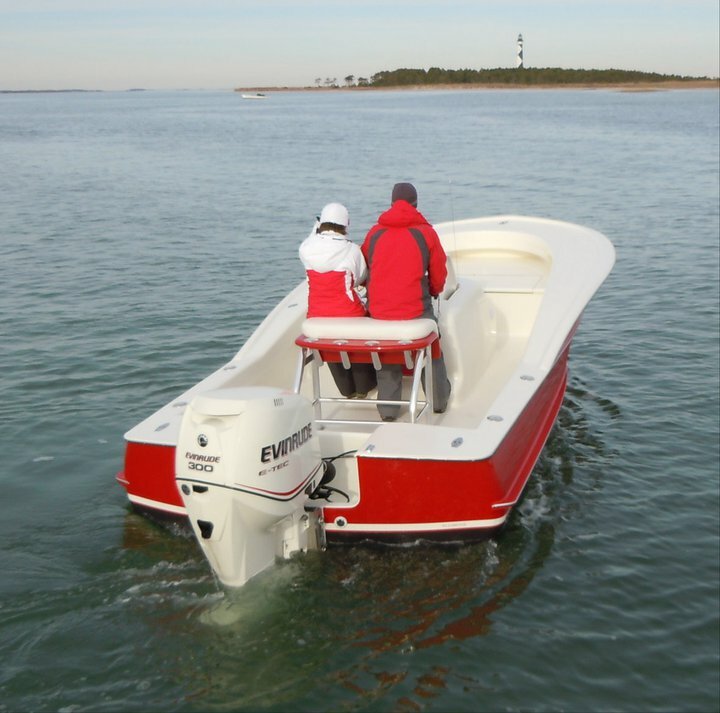 The low-profile console has an integrated electronics pod with Simrad electronics and custom red helm pod. 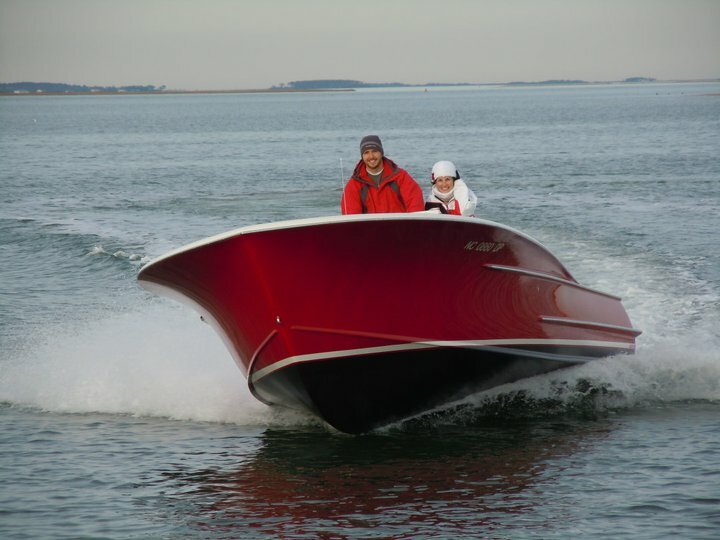 He custom red leaning post with built in rocket launcher make a great spot to run this sporty model. The underwater body of this boat is deeper than your typical bay boat. 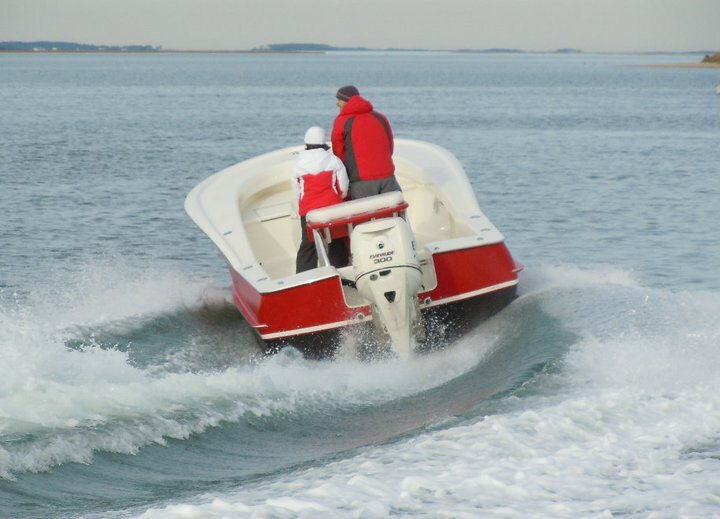 We incorporated 15 degrees of dead rise at the transom where it grows from there. 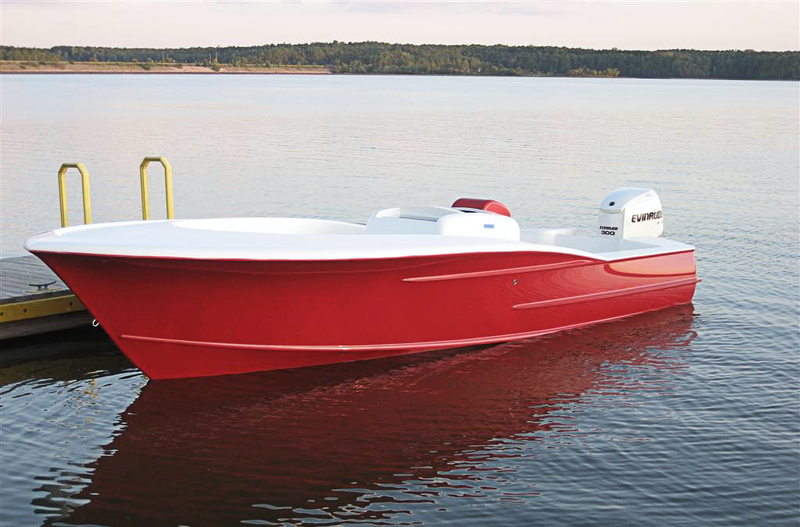 The moderate beam and sleek profile make this a sharp boat no matter where she goes!